Becca and Cassie are twins who live in an area known as a 'cell', which is part of the United. Other cells exist but citizens are not allowed to cross over. Each cell is governed by a provost and rules must be obeyed. Every aspect of life is controlled. It's the way things have always been. Children mysteriously disappear and never return. Becca becomes one of the disappeared is and placed on Death Row in a prison full of kids. The regime is brutal and executions are part of everyday life. Despite the odds, Cassie is determined to find her twin and bring her back home. 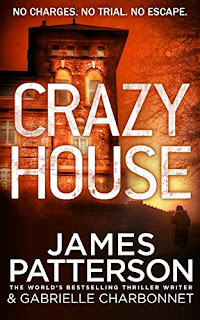 I'm not a big fan of Teen and Young Adult literature but when I saw the main author was none other than the celebrated writer of countless adult thrillers, James Patterson, I jumped at the opportunity. Wow, what a pleasant surprise! I thought it was excellent and really enjoyed it. 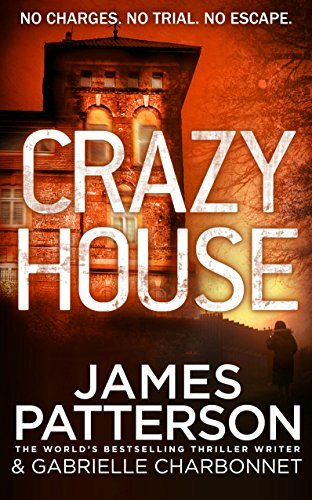 I'm also not hugely into dystopian novels but the world created in Crazy House sucked me in and had me totally hooked. The ending was left open but didn't feel unfinished. It had the feeling of 'one door closing and another about to open'. Let's hope there are future books planned because it has the potential to be a really special series. My thanks to Random House UK, Cornerstone Digital, Arrow (Young), the authors and NetGalley for providing a copy of this book.